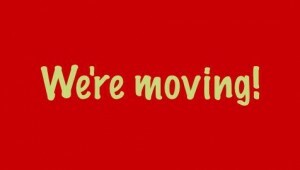 We made the decision to move because the blog has been hacked several times and we have been looking to find a more secure home. Our search took us to CALI, the Center for Computer-Assisted Legal Instruction, and its Classcaster blogging platform. CALI, as many of you know, is a non-profit consortium of mostly US law schools that conducts applied research and development in the area of computer-mediated legal education. Classcaster is CALI’s legal education podcasting and blogging network and seemed like an obvious place for the LSB. When we asked about moving the LSB over to Classcaster the CALI team responded enthusiastically and has been extraordinarily helpful in accomplishing the movement of our blog and its 7 years of archived content. When you visit the blog you may notice a somewhat different appearance, but the basic layout and page design hasn’t changed all that much. And the content won’t change at all. The Legal Scholarship Blog will continue to provide all the latest information on legal scholarship activities in the United States and internationally for law school faculty and legal scholars. As always, the LSB welcomes news of scholarly activities, such as workshop presentations, conferences, calls for papers, etc. Let us help you get the word out! Email your news and announcements to legalscholarshipblog@gmail.com .